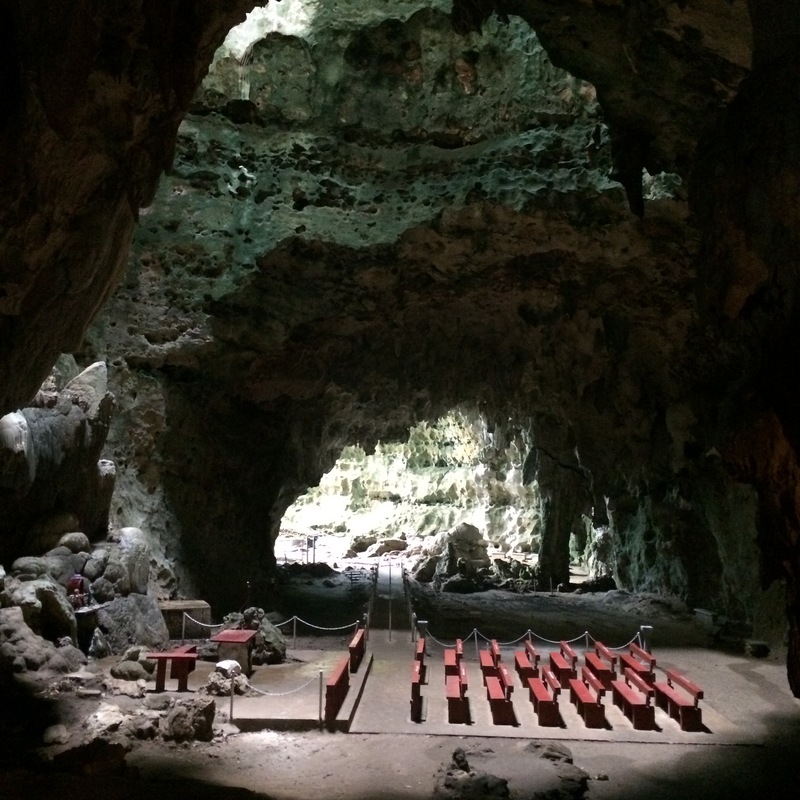 Callao Cave is a seven-chamber showcave in Cagayan Province. It is the most accessible of all the 300 caves in the area. The cave system is composed of seven chambers each with its own features and rock formations. There are also natural cracks above some chambers allowing rays of light that illuminate the area. 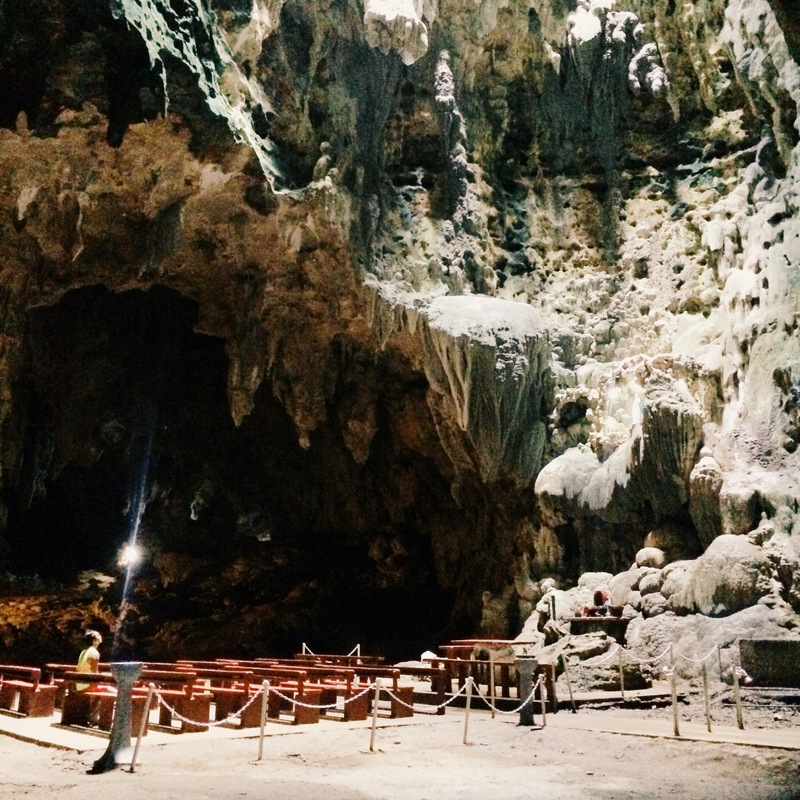 If you’re looking for side-trip destinations in Cagayan, this cave should be on your list. From Tuguegarao, ride trike to the tricycle terminal to Penablanca. Travel time 20 minutes. Ride another Tricycle heading to Callao Cave. Travel time is 40 minutes. Other options: Victory Liner has direct trips to Sta. Ana Cagayan. If you can’t get tickets to Tuguegarao, another route is via Tabuk. From St. William’s Cathedral, ride a jeepney to Tuguegarao. 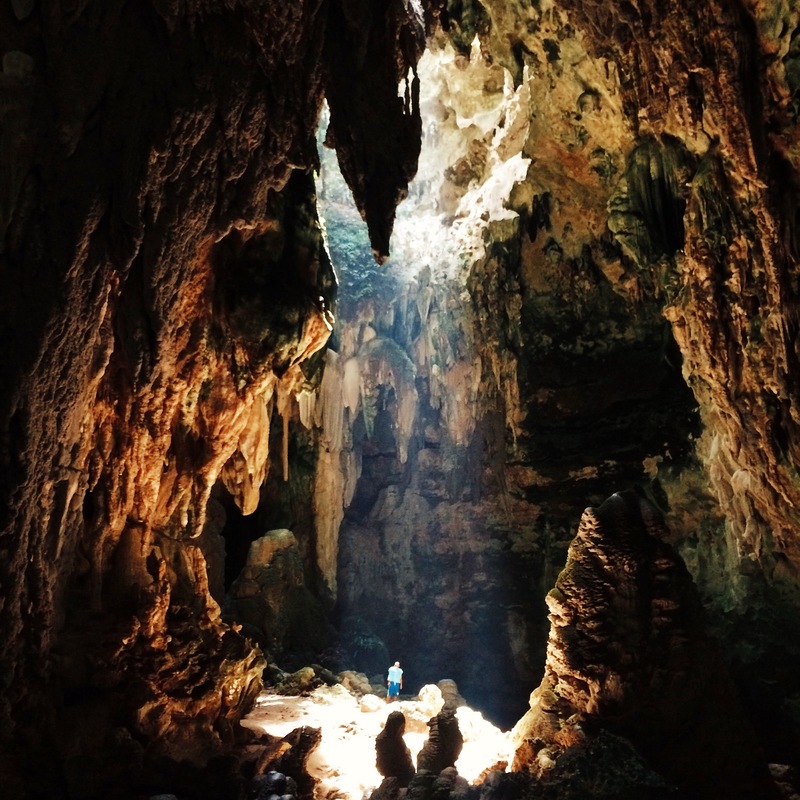 It you’re planning to visit Callao Cave, it’s best to stay in Tuguegarao City. There are air-conditioned inns and hotels available for as low as P500/day. To compare prices, here’s a hotel list from Booking.com. 1140 Depart for Callao Cave jump-off. Explore. Coming from our Palaui Island adventure in Sta. Ana Cagayan (Read: Palaui Island: Cagayan’s Untouched Paradise) we then headed back to Tuguegarao in the morning. Our van picked us up at our hotel at 7 in the morning. We arrived at exactly 10am in Tuguegarao. When riding vans in Tuguegarao it’s best to sit in front beside the driver or the seats immediately behind him. They tend to cramp passengers at the back. We checked in at our hotel before heading out to Callao Cave in Penablanca. Get a tricycle and ask the driver to bring you to the tricycle terminal heading to Penablanca. Tricycle from Tuguegarao cannot go directly to Callao as they are assigned to designated areas. Once you’re in the tricycle terminal to Penablanca, get another trike to the Callao Cave jump-off approximately 40 minutes away. We recommend hiring your own tricycle to avoid the hassle of hailing one going back. Roundtrip price ranges for as low as P400 to as high as P700 per tricycle. The tricycle will bring you directly at the Calloa Cave jump-off. Register and pay the minimal entrance fee. We also recommend getting a guide. They have student guides they could assign to you if you request for one. Do not worry, the guide fee is completely upon your discretion as to how much. We got a guide, Ate Bella and she showed us interesting rock formations inside Callao; the Praying Angel, the Snake, Alligator, Mother Mary, Baby Jesus, the Lion and a lot more. It’s definitely worth it. You are going to start your adventure by going up a flight of stairs, 184 steps to be exact. At the top you will be welcomed by Callao Cave’s huge opening and the 1st of seven Chambers, the Aviary. The cave is comprised of 7 chambers: Aviary, Divine Chamber, Dark Room, Cream Room, Jungle, Danger Zone and the Dead End. It is also one of the 300 caves in the area. The aviary is where they discovered the fossil of the Callao Man that was found to be at least 67,000 years old. Visit in the morning so the caves would be lit by natural light. We visited in the afternoon but there were less sun rays penetrating the cave. If you’re in a group, charter a tricycle so the trip back would be easier. If you have your own transportation, ask your guide for the boat trip to see the flight of bats down the river. Usually starts at 5pm. Wear comfortable footwear since the rocks especially at the deeper chambers can get very slippery. Me and my two good colleagues are planning to go here this month. We’ll take the land travel. I would like to ask if which is the most ideal thing to visit first : Callao Cave or Palaui Island Hopping? Thank you!